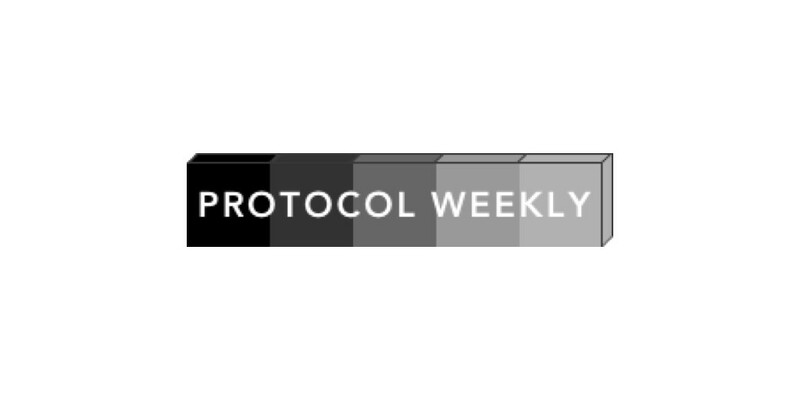 Phew, it’s been over 30 weeks of Protocol Weekly so far! This week’s updates from Set, Kyber and 8x are exciting to share! Set has announced their new Strategy Enabled Tokens that allow tokens to automatically rebalance their composition. Some examples include “buy the dip, sell the rip”, stop losses and dollar average cost buying. It’s going to be exciting to see their product when they launch! Kyber has unveiled a new project called “Waterloo” that allows seamless transfers of EOS and ETH in a decentralized way. Coin transfers are the first key step in order to unlocking cross-chain communication! 8x has rolled out their new payroll beta which allows companies to pay employees or multiple contracts at once, in a simple & easy to use interface. That’s it for this week, see you all next time! We finished our sell endpoint that allows users to sell their Sets by atomically breaking apart the Set into its underlying tokens, and selling those tokens on Kyber for ETH. For those that bought Set tokens in our current beta, we’ll notify you when the sell feature is released for you to test. Our contracts have been upgraded from Solidity version 0.4.25 to 0.5.4. The new designs for the next version of TokenSets are nearly complete, and are being implemented now for the upcoming release. The designs include an updated look and feel as well as a brand union between Set and TokenSets. Last week, AirSwap co-founder Don Mosites attended a Blockchain Tokyo event outlining our approach towards DEX design and development. View the full tweet here. We asked our community members what their favorite mobile Ethereum wallets were. With almost 600 votes and 50 replies on Twitter, we found that Trust Wallet and Coinbase Wallet were the most popular. View the full results here. We’re continuing to promote Fluidity Summit as we near the event date of May 9th. As co-hosts, we invite you to join our team and the companies that are building the future of tokenization and decentralized trade. Early bird tickets are available here. Loopring co-hosts a DEX meetup in Sydney with HaymarketHQ and Next Genius Community to discuss all things DEX, and the Loopring landscape. We are pleased to announce that Loopring (LRC) is now on ZILLA Wallet. ZILLA makes it easy to get blockchain event tickets with LRC and manage crypto assets all in one App. Our exchange MPX is functional on testnet, we demoed at ETHDenver! In the first “People of Parity,” we chat with core dev Jack Fransham about Rust smart contracts, his work on an optimising linear-time compiler for WebAssembly, and life in Berlin. Kyber introduces Project Waterloo — a Decentralized Practical Bridge between EOS and Ethereum. This enables cross-chain communication between the two blockchains, and allows the transfer of assets from Ethereum to EOS and vice versa. Learn more here.